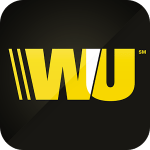 Another Western Union scam. For the newbies, this email is not from the real “Western Union”. This is sent by a scammer and they will ask you to pay money to get money… what? Pay Money to Get Money!? Who’s the moron? Don’t even think about trying, these guys will give nothing and will take everything. I heard some of the scammers have become so RICH, simply by the respondent POORER. If you want to get POORER, reply to the email. presentation day to all Customers and none customers. We therefore thank you for chosing Western Union as means of payment. PayPal – Your Account Will be Suspended ! ?